The Fresh Expressions Boutique has undergone a renovation and a name change! Come by and check out The Gathering Table Café & Consignment. Our goal is to provide a comfortable place for people to meet and for community to happen. Our main retail focus is women’s clothes, shoes, and accessories. We also carry several different local artists’ consignment pieces. Over the next several weeks, we will undergo the final phase of our renovation, and we will start to offer café items such as coffee, teas, smoothies, and baked goods. We have a full calendar of events on our Facebook page of weekly gatherings, and we would love to see you there. Zumba, Yoga, and Craft Nights are just a few, and they are available to everyone. We love our volunteers, and we are always looking to expand our volunteers. Please contact the store or email Sarah Davis ( ) if you are interested or if you have any questions. 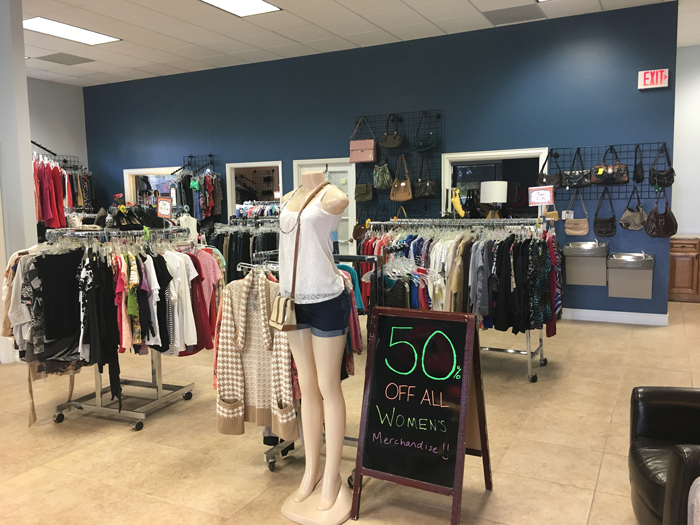 Come and visit our beautiful Thrift Store and Boutique!